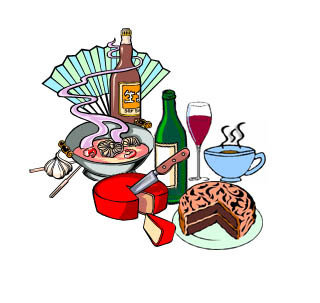 About 1/3 of all migraine sufferers are helped by avoiding certain foods or drugs. Like prevention treatment for migraine, diet treatment is a "trial and error" methology - -not everyone will get headaches from MSG, or chocolate for example. Usually the best idea is to start by taking all of the high risk foods out of your diet, and if this works, add them back in one by one to determine the critical one. Monosodium Glutamate (MSG), also labeled Autolyzed Yeast Extract, Hydrolyzed Vegetable Protein, or Natural Flavoring: Major sources of MSG include certain soups, Chinese food and "fast" food, soy sauce, yeast, yeast extract, meat tenderizers (Accent), and seasoned salt. Many salad dressings also contain MSG. We advise you not to frequent restaurants that are unable to eliminate MSG from their food. Headaches an hour or so after eating is the most common timing. While the literature is not strong about MSG (Freeman, 2006), nevertheless MSG sensitivity is "common knowledge". Alcohol. Red wine, beer, etc. Red wine is the most likely and vodka is the least likely alcoholic beverage to cause a migraine. Alcohol is the most common dietary trigger for migraine (29%, Peatfeld et al, 1984). No controversy. Chocolate. Chocolate may cause a delayed effect -- the caffeine in chocolate prevents an early headache. The role of chocolate is weak and controversial (Holzhammer and Wober, 2006; Lippi G et al, 2014). Chocolate contains about 10 mg of caffeine/ounce (see following). Cheeses, especially ripened or aged cheese (Colby, Roquefort, Brie, Gruyere, Cheddar, Bleu Cheese, Mozzarella, Parmesan, Boursalt, Romano). Cheeses less likely to trigger headache are cottage cheese and American cheese. Pizza may be a problem food. Headaches about 1 or 2 hours after eating are common pattern. The role of cheese in migraine is controversial (Holzhammer and Wober, 2006; Martin and Vig, 2016). Caffeine. This is complicated. Caffeine lasts about 8 hours. Overuse of caffeine may increase headaches via rebound. Some very sensitive people may develop rebound from as little as 30 mg, but in most people it takes 500 mg of caffeine/day (5 cups coffee). The active ingredient in many OTC acute migraine medications is caffeine and aspirin and/or Tylenol. For example, Excedrin migraine has 65 mg of caffeine, 250 mg of acetaminophen, and 250 mg of aspirin. A large ice-tea, an aspirin and a non-extra strength Tylenol contains the same active ingredients. Add some sugar, and you can treat low blood sugar too. No controversy. Magnesium. Supplementation with 500 mg daily is mildly helpful in preventing migraine. This is not especially controversial (Mauskop, 2012; Holland et al, 2012), but a longer discussion can be found here. Generally the most convenient form is the "cal-mag" tablets. Another popular formulation is one called "calm". It is a little hard to figure out what goes into this drink however. Note that many medications for stomach acid reduce magnesium absorption, and it may help to stop them if you can. Spinach is an example of a food that has a lot of magnesium (78 mg/serving). We do think that magnesium is helpful for migraine. The US government has some very helpful data about magnesium here. Other "non-drug" migraine treatments that we are not sure of include vitamins (co-Q) and riboflavin (400 mg). Our guess is that they don't work. We say this because we have very few patients who keep taking these. We advise against use of Butterbur products, as some of them have been associated with liver damage. Herbal medications are not well standardized, and we are dubious that the small positive effect on headache is worth wondering about the risk of liver damage. Sulfites (Potassium Metabisulfite). Used as a preservative on salads, seafood, avocado dip. Found naturally in wine and beer. Usually causes asthma symptoms. There was no literature on sulfite sensitivity and headache as of 2015. It probably does NOT cause headaches. There are an immense number of books about migraine diets. We favor the one written by Dr. Bucholtz and Reich- -"Heal your Headache", if you want more details. Cleophas, T. J., M. G. Niemeyer, et al. (1996). "Nitrate-Induced Headache in Patients with Stable Angina Pectoris: Beneficial Effect of Starting on a Low Dosage." Am J Ther 3(12): 802-806. Lippi, G., et al. (2014). "Chocolate and migraine: the history of an ambiguous association." Acta Biomed 85(3): 216-221. Martin, V. T. and B. Vij (2016). "Diet and Headache: Part 1." Headache 56(9): 1543-1552.